Gyromagnetic emission is the generic name for emission due to the spiraling motion of a particle in a magnetic field. Gyromagnetic emission by nonrelativistic particles is referred to as cyclotron emission, which is dominated by the fundamental and first few harmonics of the cyclotron frequency. Gyromagnetic emission by highly relativistic particles is referred to as synchrotron emission, which is dominated by very high harmonics which overlap and form a continuum. These emission processes are treated in this chapter. 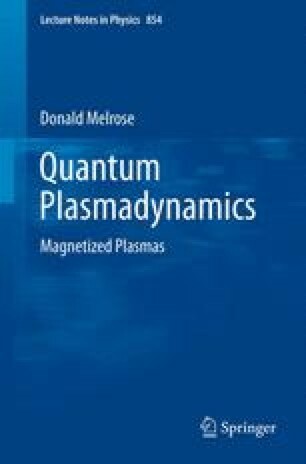 The generalization of Thomson scattering to the scattering of waves in a magnetized plasma is also discussed.